It seems like the shiny new Linux releases are coming fast and furious this fall, and this week has been no exception. 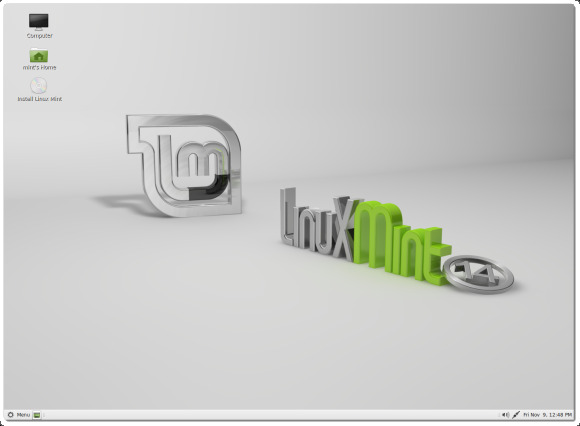 Linux Mint 14 is actually based on Canonical's newly released Ubuntu 12.10. Ready for a quick run-down? Here are seven key new reasons you should give it a try. Fans of the classic GNOME 2 desktop environment are probably already familiar with the MATE project that arose to help ensure its continuity. After first being included in Linux Mint 12 as an alternative for users wary of GNOME 3, the GNOME 2-like MATE desktop moved on to version 1.4 back in July. It is this recent version that's included in Mint 14, complete with numerous bug fixes, Bluetooth, and a raft of other improvements. “MATE 1.4 not only strengthens the quality and stability of the desktop but it goes beyond GNOME 2 by fixing bugs which were in GNOME 2 for years and by providing new features which were previously missing,” the Mint project explains. Also upgraded in this latest Mint release, meanwhile, is Cinnamon, a fork of the GNOME 3 shell that's designed to offer another transitional option between the familiar GNOME 2 and the new but controversial GNOME 3. Now reflecting more than 800 changes, Cinnamon 1.6 is still more stable than its predecessors, the Mint project says. The MDM display manager first appeared in Linux Mint 13 “Maya,” and in this latest release it now supports legacy GDM 2 themes. “About 30 of them are installed by default in Linux Mint 14 and you can find 2,000 more in gnome-look.org,” the project notes. MDM now also features improved support for user lists and "faces," improved user switching, and many security and bug fixes. Among a variety of system improvements in Linux Mint 14 is that MintStick has replaced USB-ImageWriter, providing a better user interface and better progress reporting. In addition, Gedit 2.30 has replaced Gedit 3 in the new version of the operating system. “It's a more mature/stable alternative, which provides more features and a much better search functionality than the latter version,” the project explains. Also included in Linux Mint 14 are an improved icon theme and a collection of beautiful background photographs from artists Al Butler, Nicolas Goulet, and Steve Allen. Last but not least, in addition to MATE 1.4, Cinnamon 1.6, and Ubuntu 12.10, Linux Mint 14 features version 3.5 of the Linux kernel. A full list of the new features in Linux Mint “Nadia” can be found on the project site. Ready to take it for a test drive? It's now available as a free download.